We are studio for graphic design in the crossover of Kaiserslautern, Saarbrücken, Mannheim and Karlsruhe in Germany. We develop corporate designs and websites for car sales places, car repair places, doctors, printers, travel agencies, pharma giants, realtors, but also artists, tax/finance advisors and/or pawnshops: We work for everyone, for every need. We develop the complete package from logos, brochures, flyers, letterheads, business cards, signages – right up to your modern website. We work in this business since 1999 and have been right in 95 % of all times. Let's talk. We'll find a solution for you. 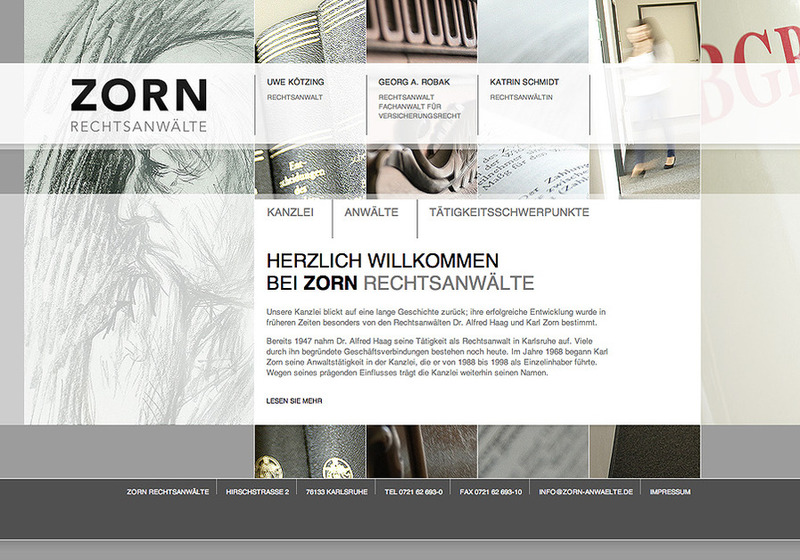 Latest project: Website for "Zorn" Attorneys in Karlsruhe, Germany.